Keyed-alike padlocks allow locking out of several equipment with only one key. 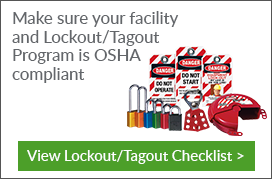 This helps create a more efficient lockout/tagout (LOTO) process since you need only one key to secure a particular set of padlocks. Our line of keyed-alike padlocks are available in a number of high-quality materials including steel, aluminum, and plastic. These are ideal for both indoor and outdoor use, as well as diverse lockout applications such as valve and electrical. 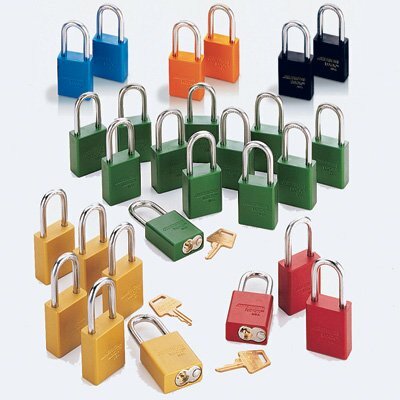 American Lock® padlock sets let you choose the color that best suits your facility's needs. There are many benefits to having a set of key alike padlocks. First, improved efficiency especially when it comes to securing padlocks and lockout devices. Next, weatherproof padlocks keyed alike are heavy-duty enough to withstand harsh conditions and with the keyed-alike feature, the authorized personnel can quickly lock and unlock a group of padlocks attached outside the facility. Another benefit of having this type of padlocks is that you don’t have to worry about having multiple spare keys in case of loss. This fact can save you a lot of money in the long run. But remember, keyed-alike padlocks are not created equal. Be sure you’re getting high quality padlocks from brands you trust.